I made this video while I was creating a vertical garden for an article in The Shed magazine. Lost the files for a while (and forgot I had shot the video!! ), but here it is at long last! Here is my latest project, ready for the next edition of The Shed magazine. It is a coin storage cabinet, with spaces for 1200 individual coins, stored in acrylic trays. It has a curved top (using kerfing) and tambour door. By replacing a 6mm thick tray with two sheets of 3mm clear acrylic, bank notes could also be stored and displayed. Each tray has a tab with a descriptor of the tray engraved in it, such as “Australia 50c Commemorative”, and each coin slot is sized to the specific coin that it is to house. 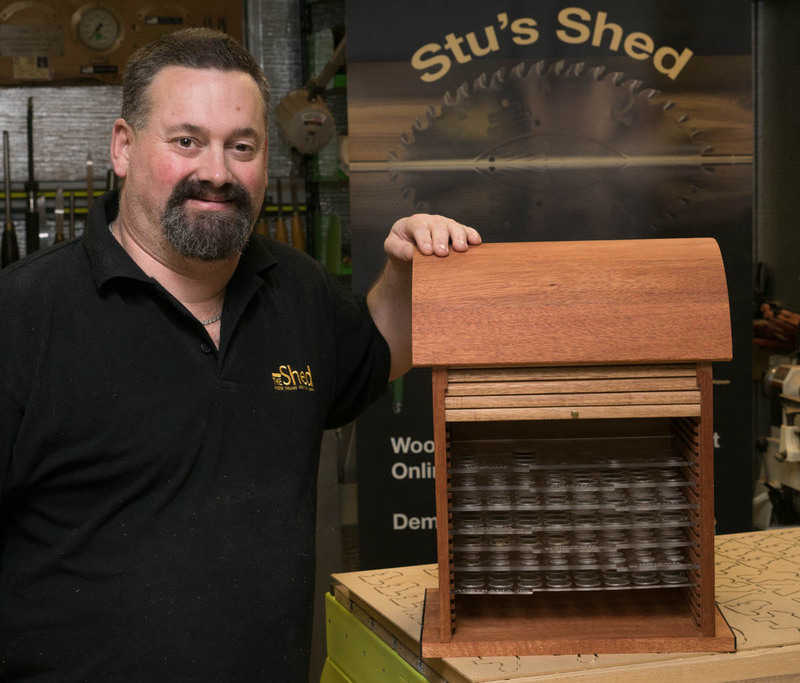 When the edition of The Shed comes out (soon), the article goes into detail how it was made, using both CNC and non-CNC techniques.